Long time no see blog friends. Now that summer's here, I'm hoping to have a few more blog posts up my sleeve, considering it won't be as busy at work. I'll keep them short and sweet, so I will get them out in a timely fashion of course. 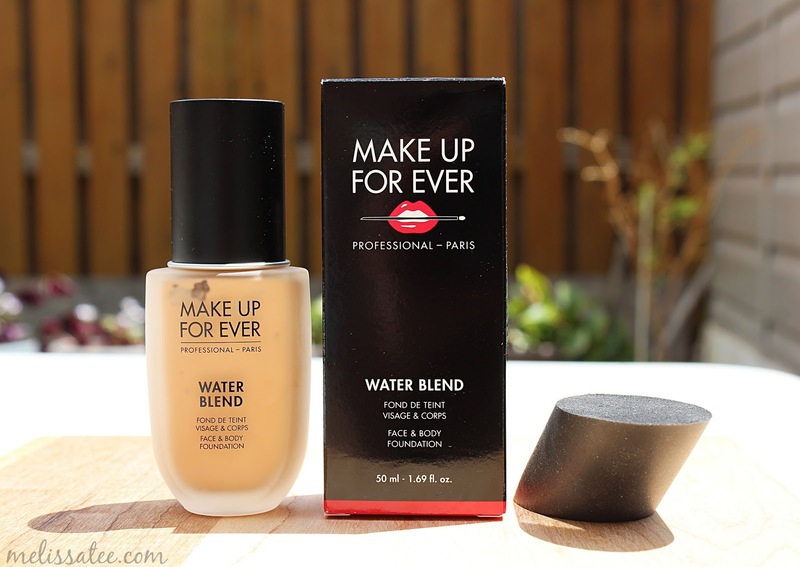 I got the chance to review Make Up For Ever Water Blend foundation, courtesy of Glam Sense. 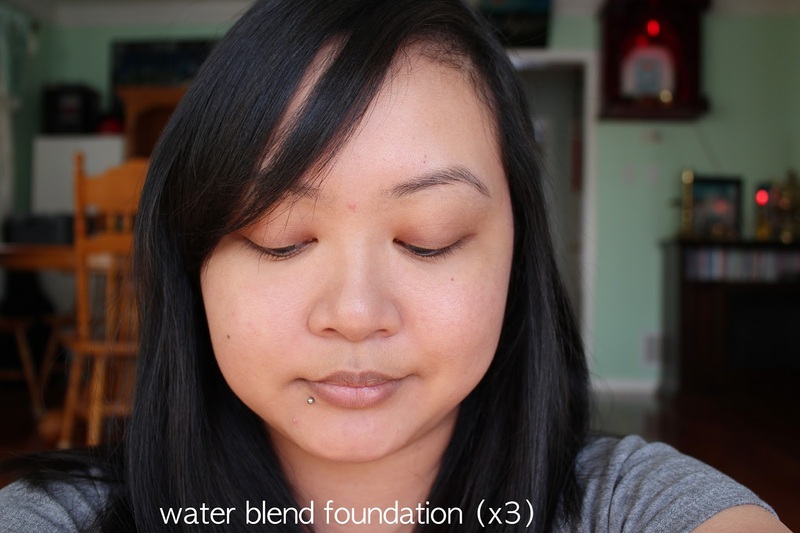 The Water Blend foundation is a super lightweight foundation, made with 80% water, and enriched with pro-vitamin B5. 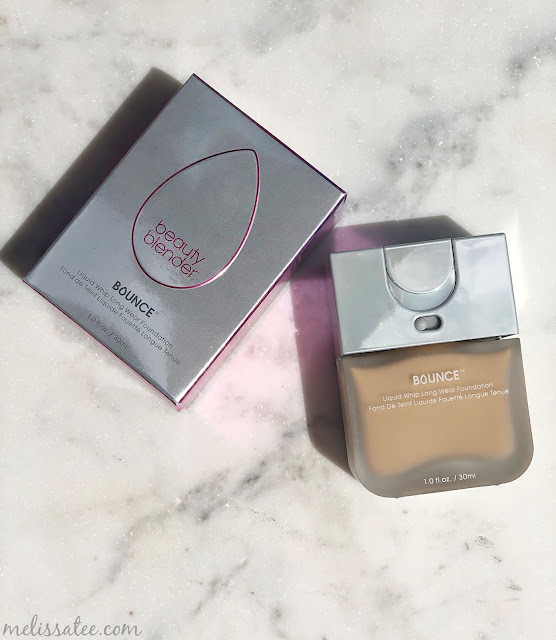 The coverage is super sheer, but buildable, and it's almost like your skin but better. I got the shade Y305 - soft beige, which was a tad too light for me. but would probably be great for in the winter time. 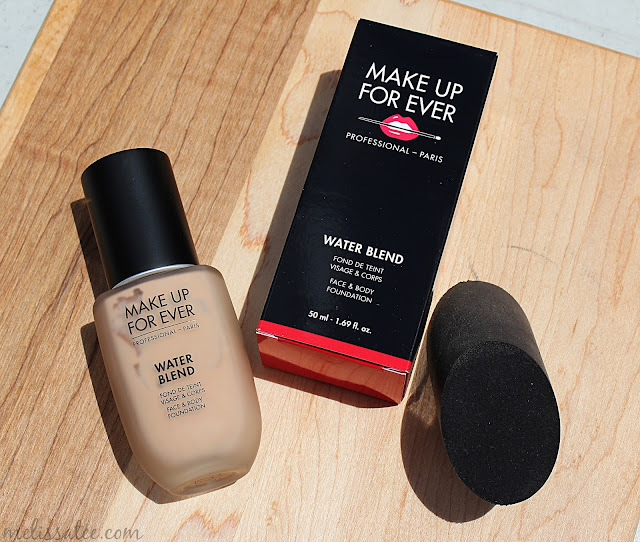 I am more of a full coverage foundation girl, but I thought I should give this a chance. 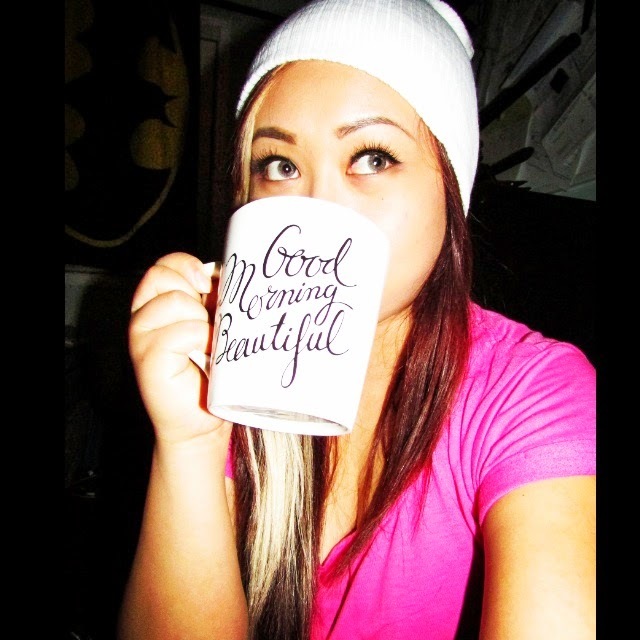 I have a lot of discolouration around my eyes, pimples here and there, and redness basically everywhere. This is three layers of the foundation. I couldn't use the blender they provided, I felt like it was smearing the product around more than anything. I ended up using my fingers to blend it all out, and a damp Beauty Blender to buff it all out. You definitely have to wait at least a minute before each layer, because the foundation moves if it's not fully set. Even with 3 layers, you can still see my pimples, and a little bit of redness. 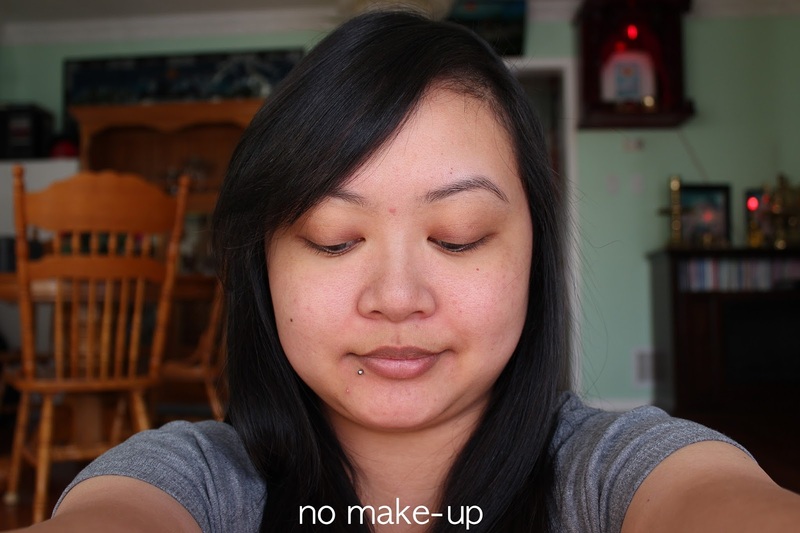 It definitely looks natural, but not the best of coverage for my skin needs. Here it is with a setting powder. 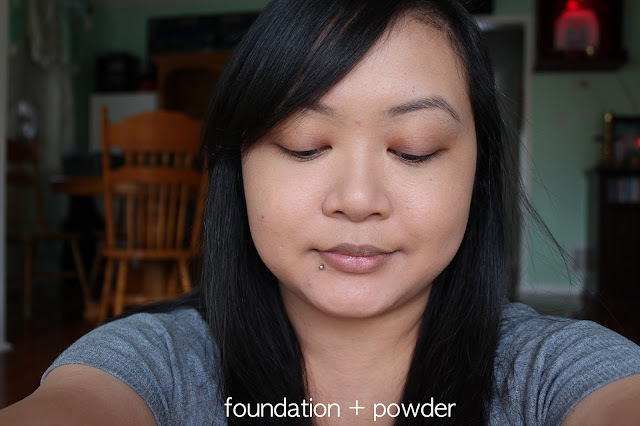 The foundation itself feels like I'm wearing absolutely nothing. It gives you a dewy glow, which I presume is sought out for in the summer months. The one thing I disliked though was the scent. It has quite the strong fragrant smell, a bit floralish. Not the biggest fan of that. I would definitely wear it on days I don't feel like wearing a heavy foundation, but want some coverage, considering I don't have perfect skin. I received this product free from Glam Sense by Topbox. All opinions are my own.